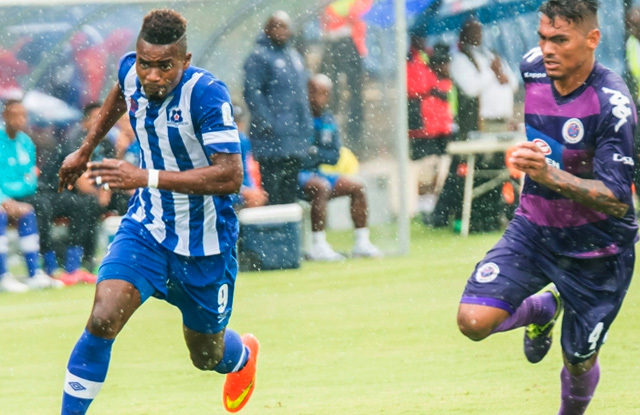 Maritzburg United are involved in another crucial Absa Premiership clash when they host Supersport United at the Harry Gwala Stadium in the Penultimate Home game of the 2015 / 2016 Season. After a hard fought 1-0 away to Free State Stars on Tuesday night, The Team of Choice has reduced the gap between themselves , Jomo Cosmos and Tuks to just one point with four games to go. Supersport United, under the guidance of Stuart Baxter, will be looking at bouncing back from the mid week defeat to Title Challenging Wits, but with the Team of Choice now in sight of the safety zone, it promises to be a no holds barred clash. We are calling on our fans for the second last time this season to fill up Harry Gwala Stadium on Friday evening. Kick off is at 20h00. Get your tickets now and lets all help the Team to Achieve. Kick off is at 20h00 on Friday 29th April 2016 at the Harry Gwala Stadium.